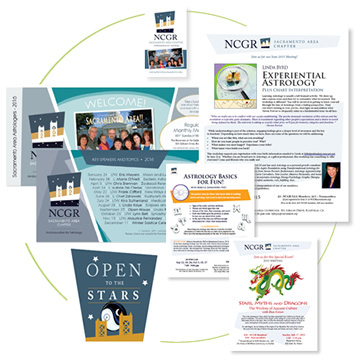 Branding and collateral for NCGR Sacramento Area Chapter. Logos, business cards, postcard mailers, flyers, schedule cards, signs. Produced the video featured on the website (excerpts were included in the UAC opening ceremony video). Also website and featured video.